It has been a slow knitting week. I have been battling a little cold or something and have been super sleepy. Whatever it was, it has passed. 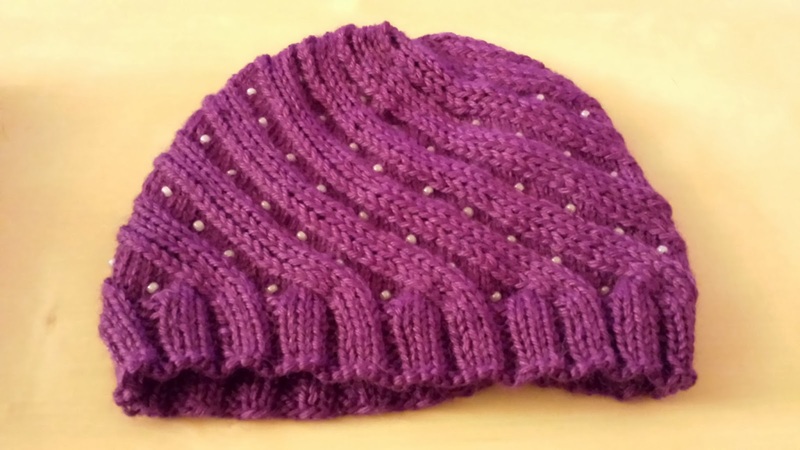 I finished my Odessa hat! It was down to the wire whether one ball of Knit Picks Elegance (discontinued) was going to be enough. You can see in the picture how little yarn I had left. 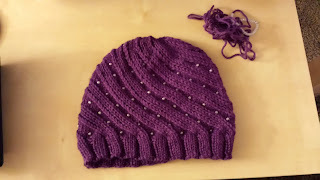 I was supposed to start the decreases at 5.5 inches; however, I wasn't paying attention and had knit 6 inches before starting the decreases. I was concerned that I wasn't going to have enough yarn, but there was! Hurray! This hat is made of alpaca and silk, so it is super soft and will be super warm. I am glad that I made the hat a bit longer, because it covers my ears nicely. I watched The Pirates! Band of Misfits last night. It was very funny. The movie had received lukewarm reviews when it came out, so I never saw it. I am glad that it watched it, because it was quite clever. It isn't the best knitting show, however, because there were so many little visual jokes that you could miss by looking at your knitting.